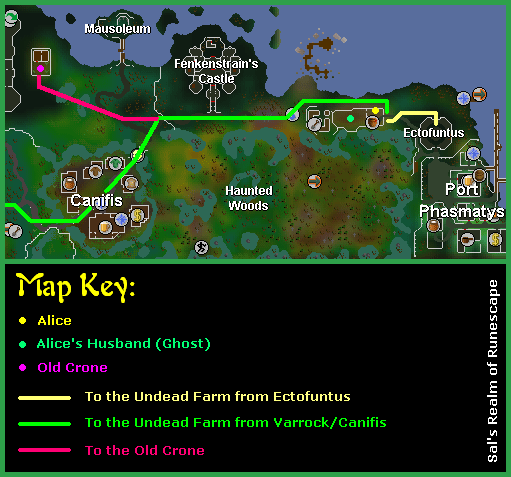 Help Ava the scientist get a good night's sleep in creepy, old Draynor Manor during this quest! Draynor Manor has a new resident and, adventurers rejoice, she is a damsel in distress! Far from being Sleeping Beauty, she finds the Manor's beds not to her liking and is suffering from insomniac nights. If you fancy yourself able to aid Ava in her search for a good night's sleep, who knows what the budding scientist will produce as a reward? 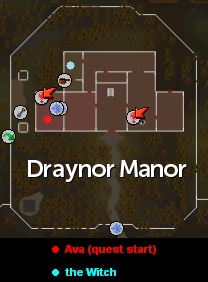 Begin by speaking with Ava in Draynor Manor's ground floor. 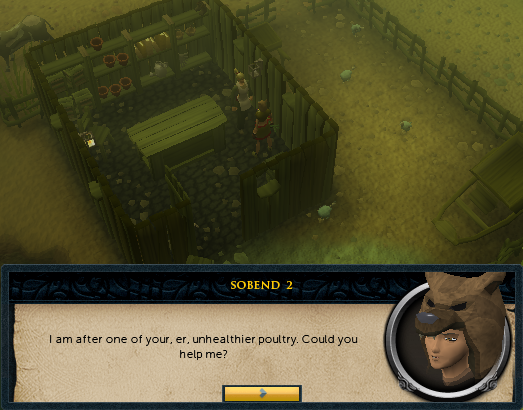 To start the quest, talk to Ava in Draynor Manor's ground floor. To get into the room, search the Candle Sconce on the wall to the right. She looks like she doesn't enjoy the place she lives in, and she would like a better interior, namely, a more comfortable bed. 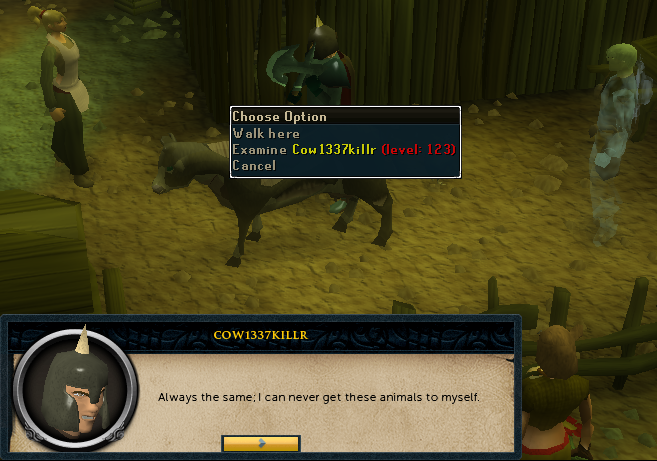 Give him the amulet - and then talk to him again; he'll try and catch a couple chickens for you, with a very nice cutscene to boot, involving a level-123 "Cow1337killr". 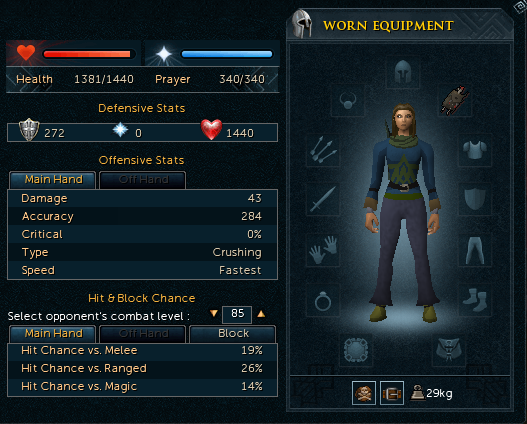 Items Needed: Iron Bars, Hammer. Go back and talk to her about this. She will then send you to Turael, in Taverly (even though Ava states he is in Burthopre), whom she saw threading among those trees. Once you translate those notes, talk to Ava again, and you'll obtain "a pattern." 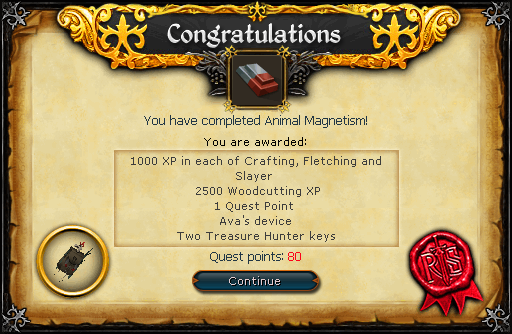 Ava will send you to get buttons, which can be obtained by pickpocketing HAM members in the HAM hideout. 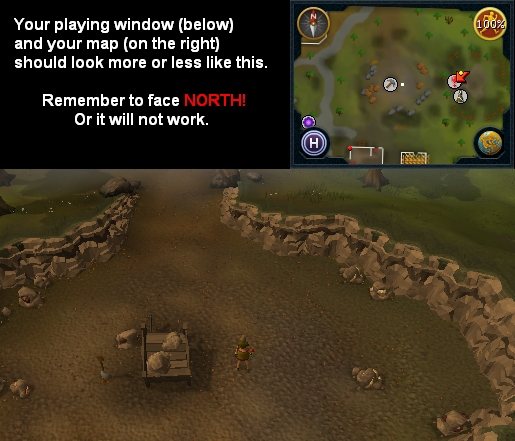 The HAM hideout can be found west of the eastern Lumbridge cow pen (the one bordering the desert area). 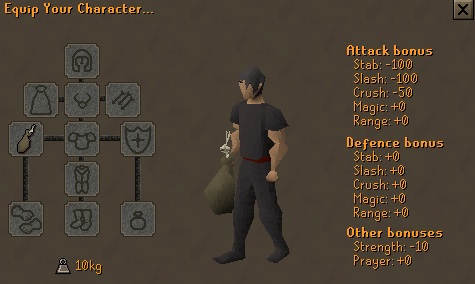 You must have 20 thieving to pickpocket (male) HAM members. Be patient, it can take some work. Finally, get some hard leather. 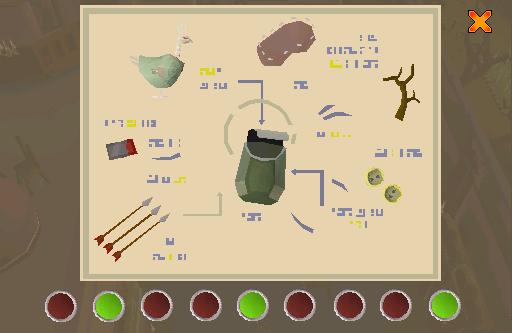 Ava's Device 2,500 Woodcutting experience 1,000 Crafting experience 1,000 Fletching experience 1,000 Slayer experience Access to Ava's stock of feathers, arrowtips (iron and steel) and arrows (iron and steel). 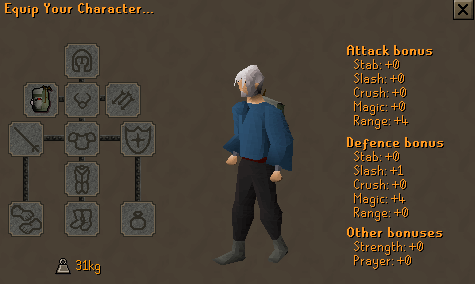 Has 1.4% Ranged critical damage and 12 armour.